How's the Water? | The Kids Beat | Kids VT - small people, big ideas! The heavy spring rains that flooded Lake Champlain washed loads of pollutants into the water. Now that the lake is back below flood stage, state officials say it's safe for swimming. But it's still smart to double check the water quality before you pack up the beach blanket, cooler and bathing suits. Since kids often spend dawn to dusk in the water, and are prone to swallowing more of it than adults, they're exposed to greater health risks from bacteria. 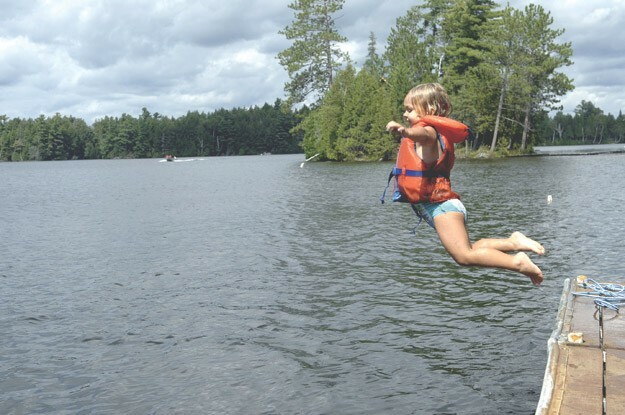 The Vermont State Parks test water quality each week at designated swimming areas. Find results on the state-parks website in PDF form. If you're heading to a town beach, you can contact the local health officer to find out how testing is handled in your area. Look up your town's health officer on the Vermont Department of Health website, also home to other water-testing resources. Water-testing Resources: Vermont State Parks, 241-3655; Vermont Department of Health, 863-7200.